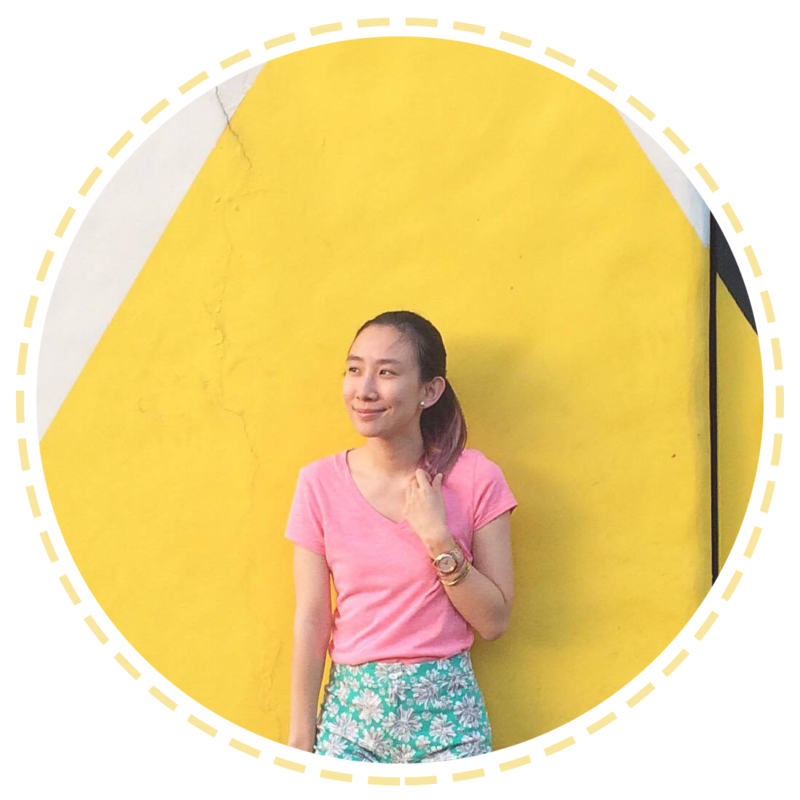 The heat is intense and this only means that summer is still ongoing and there have been a lot of happenings all around the metro and at the beaches! :) Music festivals are everywhere and it has just been so fun to shop for cute summer outfits lately! ^_^ I love all the colors and clothes! Aside from cute outfits! Summer holds a lot of fun! 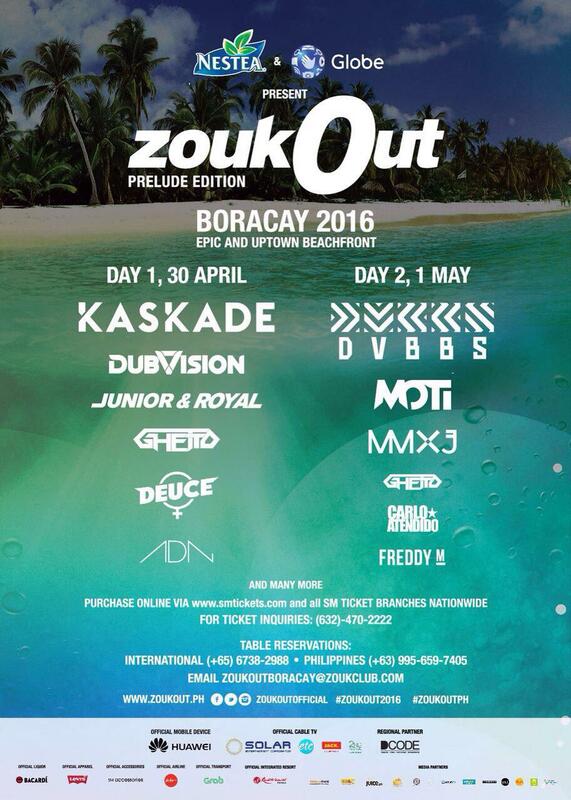 Just like the ZoukOut I mentioned about that is happening this April 30 to May 1 at Boracay! There will be amazing artists, like Kaskade and more! The first 250 Globe customers will be able to avail of the exclusive ZoukOut ticket discount. One just has to text ZoukOut to 2363 and they will receive a unique code which you can present to SM TicketNet to get the special discounted rate for the 2-day General Admission ticket bundle. From the original price of Php 4,500, qualified Globe customers will be able to avail Php 900 off! For table bookings and ticket inquiries visit www.zoukout.ph and follow @enjoyGlobe on Twitter and Instagram and Facebook and www.globe.com.ph/summer-promos to get first dibs on how to get free passes to these summer events! 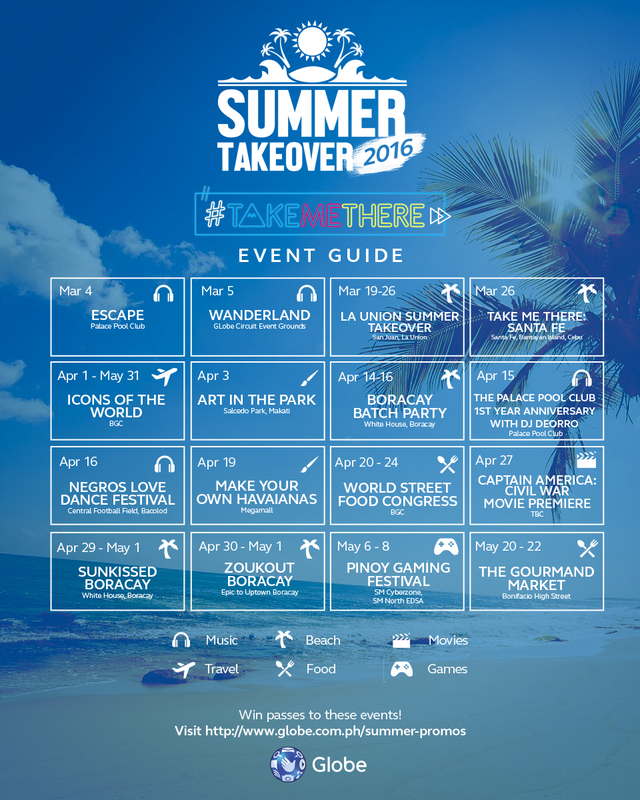 And what are the other awesome Globe summer events? And with summer also comes staying fit and what is something you can't leave home without? A phone! I recently discovered an app called KFIT! The KFIT App lets you try new things every day. In addition to conventional gyms and studios, KFit also gives customers access to a wider choice of fitness facilities including badminton and tennis courts as well as swimming pools. This means that there's no more boring fitness workouts that make you feel lazy. With thousands of activities to choose from, you will forget to get bored. 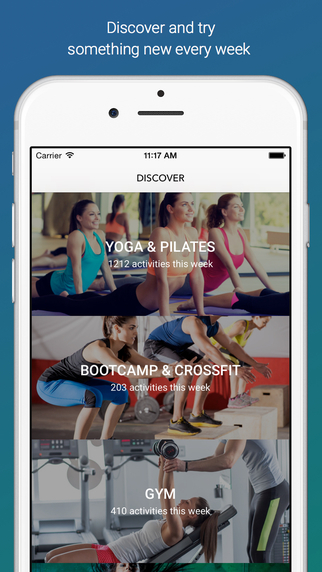 You can discover new fitness locations near you, places you never knew existed. It is easy to find the perfect activity for your busy schedule and choose time slots convenient for you. You can even book up to an hour in advance! For Globe customers, KFIT is giving away Php 300 off for every new sign up by using code GlobeKFit for the fitness pass until May 2016! Whew! Lots of activities and awesome promos to look forward to! It's definitely going to be a happy and great summer!